Alpine Village Condominium. This is an upper floor unit with vaulted ceilings, 2 bedrooms, 2 baths, gas fireplace, floor model a/c unit and comes completely furnished. Private shaded deck with views of the Leavenworth Golf Course. Continue use as an income-producing property and take advantage of the incredible Leavenworth nightly rental market or use as a weekend getaway or primary residence. 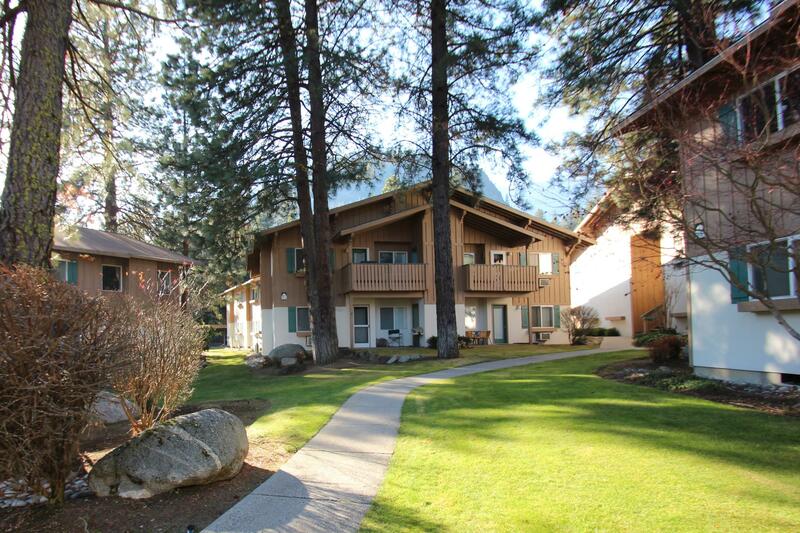 Centrally located within walking distance to the Village of Leavenworth city core, Leavenworth Golf Course, parks, rivers and all the local festivals. You can find us on Booking.com under Eagles Nest. Great rental history provided upon request. See private remarks.